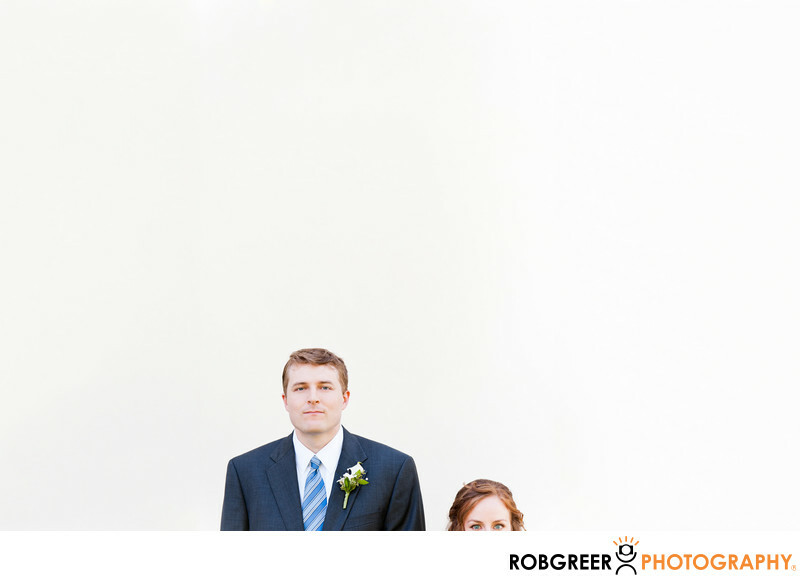 I believe that far too often wedding photographers try to hide or minimize height differences between married couples. Sometimes the groom is taller the bride. Sometimes the bride is taller than the groom. And sometimes someone’s partner is taller than the other. These couples are fully aware of these height differences. So rather than try to hide those characteristics, I feel that it’s much better to embrace the difference. As you can probably tell, the disparity in height between the bride and groom was extreme. And I took great pains to celebrate their differences at this Redondo Beach Historic Library wedding. In particular I love the fact that I was able to take a blank wall outside the Redondo Library (just south of downtown Los Angeles) and use it as my canvas where I consciously placed this wedding couple. This photograph has been recognized with a prestigious Fearless Award by Fearless Photographers—an organization that recognizes some of the world's best wedding photographers. I feel quite honored to have had this image selected for recognition by a jury of my peers. Redondo Beach Historic Library (Veterans Park Community Center) is located in Redondo Beach, California. Website: http://goo.gl/zkv8RU. Contact Person: Kathy Villa, (310) 937-6844. 1/320; f/4.5; ISO 400; 195.0 mm.